Video game secrets are the best. Especially old video game secrets. And especially original DOOM and DOOM II secrets. That said, one player has discovered a brand-new secret in the latter game, 24 years after it first released. The news comes way of series co-creator John Romero, who tweeted out on Friday that a YouTuber by the name of Zero Master had unearthed a secret that had been hiding for almost a quarter of a century. As Mashable notes, the location involved with the secret isn't an unknown quantity. Modders have unlocked every area in the game long ago through rigorous tampering, however, Zero Master is the first to unearth the secret without cheating, or as the game intended for it to be found. Meanwhile, the fact that it took 24 years for players to discover this secret raises the question: just how many secrets are out there -- not just in old games, but even new games -- that haven't been discovered? The DOOM community is infamously large and dedicated, and equal communities are rare. In other words, there are plenty of games over the years that have come and gone that don't possess the same community, and somewhere in these games are secrets that may never be discovered, ever. It's an interesting thing to think about. 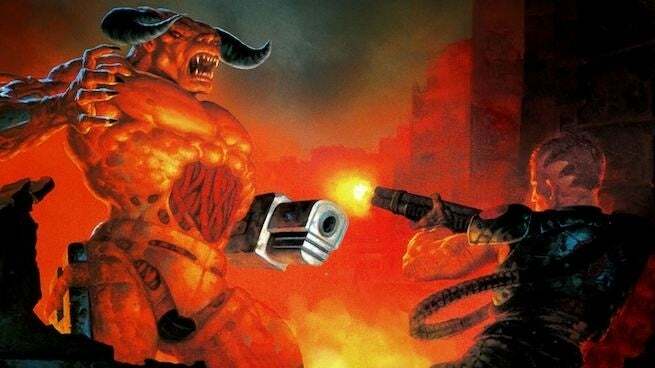 For the DOOM community, this discovery is not only monumental because it's not often something new is discovered in the series, which has been combed over an innumerable amount of times, but this means that players can finally 100 percent DOOM II. It only took 24 years and a little bit of luck to get here.